The first four disks of this five CD set contain a complete audio record in Mp3 format of the procedings of the 2006 PHASE Conclave, The Astrological Tradition in Hindsight, presented in Cumberland, MD August 14th - 20th, 2006. 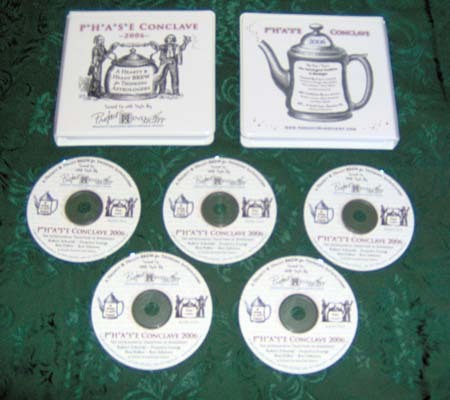 The fifth disk contains handouts and supplemental material in PDF format. A schedule of the Conclave presentations can be found here. The price for the set is $199; ordering information can be found here.